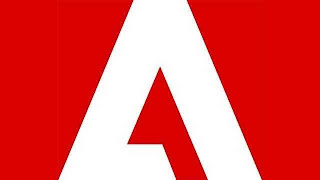 Adobe has confirmed that there is indeed a flaw in its two programs, the Adobe Reader and Adobe Acrobat. It has posted a bulletin on its support page accepting that Adobe confirmed that the vulnerabilities could cause Reader and Acrobat to crash, potentially opening the door for an attacker to gain control of the system. The bulletin released by the company said, "Adobe is aware of reports that these vulnerabilities are being exploited in the wild in targeted attacks designed to trick Windows users into clicking on a malicious PDF file delivered in an email message." "Enterprise administrators can protect Windows users across their organization by enabling Protected View in the registry and propagating that setting via GPO or any other method. Further information about enabling Protected View for the enterprise is available here"
Readers are advised to enable the above protected view in their readers and protect their Windows PCs. Adobe is releasing a fix for the hole and I will keep you updated as soon as release the same. Please post your comments on this article.